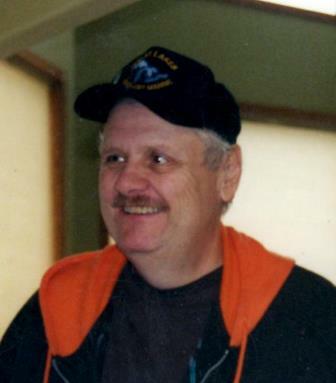 Lee E. “Huggie” Hughlett, 67, of Conneaut, passed away Saturday afternoon, February 9, 2019 at UH Conneaut Medical Center. He was born June 1, 1951 in Toledo, OH, and was the son of Lewis and Ruth (Downey) Hughlett. He was young when his parents passed away, and Nancy and Dean Horton raised him, along with help from Ed and Kay Sanford. Mr. Hughlett was a Conneaut High School graduate, class of 1970, and enlisted in the United States Air Force. After his honorable discharge, he was a wheelsman on the Great Lakes on many freighters over the years, retiring in 2001. Lee was a member of the American Legion Cowle Post #151, the VFW, and the Conneaut Historical Society, where he did quite a bit of work. He enjoyed old cars, woodworking, tinkering in his wood shop, and was a huge sports fan, especially the Cleveland Browns and Indians. “Huggie” would do anything for anyone and loved being with his family, especially his grandsons. Survivors include his wife Kathy (Fink) Hughlett, whom he married June 28, 1986; his son Shawn (Bambi) Hughlett of Conneaut; his grandsons Dylan of Arkansas, and Troy of Conneaut; his sister Louise Davis of Toledo; his brothers Ed (Lesley) Hughlett of Parrish, FL, and Paul (Joyce) Downey of Toledo; and several nieces and nephews. He was preceded in death by his parents; two sisters Ruth Armstrong and Lois Robinson; and his brother Arthur Butterfield. Memorial service will be 1:00 PM, Saturday, February 16, 2019 at the Marcy Funeral Home and Cremation Center, 208 Liberty St., Conneaut, with Pastor Joyce Shellhammer officiating. Military honors will be conducted by the American Legion Cowle Post #151. Friends may call at the funeral home on Saturday from 11:00 Am until the time of the service. Contributions may be made to the Conneaut Historical Society. Envelopes will be available at the funeral home. Sign the guestbook at www.marcyfuneralhome.com.